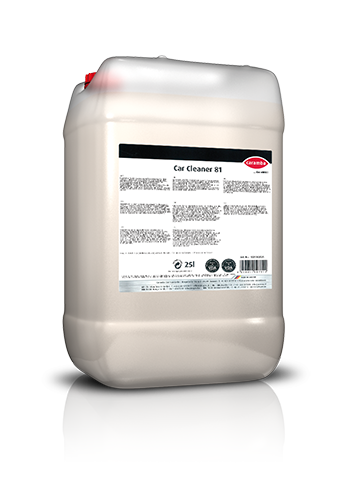 Alkaline active cleaner for high-pressure units in any kind of vehicle wash equipment. For usual dirt, fill the product pre-diluted 1:3 into the cleaner tank of the high-pressure unit. 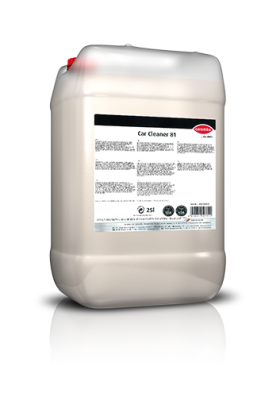 In the cleaning jet, the product concentration should be approx. 1%. When used in sprayers the product is usually diluted 1:10 to 1:100 with water and rinsed off with water or high-pressure jet after a relatively short reaction time.